Beautiful home on 1.59 acres! Built in 2005, this home offers great appointments inside and out. Interior boasts tile throughout except for carpet in the bedrooms (new carpet to be installed March 11, 2014), an open floor plan and cathedral ceilings. The kitchen features wood cabinets with pull-out shelving, stainless fridge, breakfast bar and reverse osmosis under the sink. Master suite features bay windows, large walk-in closet and the master bath has dual sinks and a separate garden tub and shower. Outside you will find a screened lanai, chain-link fenced yard with plenty of room to drive around the side of the home and an access gate to the back of the property. Located just one street from Golden Gate Blvd., this home is a must see!This is a must see at only $159,000! Call or Text Casey J. Merriam, P.A. at 239.860.0452 for more info or personal tour. At least 688 Trulia users voted on each feature. 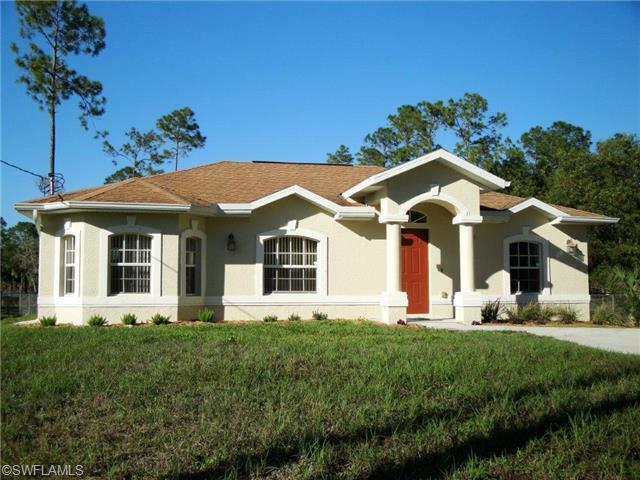 3811 2nd Ave SE, Naples, FL 34117 is a 1,351 sqft single-family home built in 2005. This property is not currently available for sale. 3811 2nd Ave SE was last sold on Apr 22, 2014 for $155,000 (3% lower than the asking price of $159,000). The current Trulia Estimate for 3811 2nd Ave SE is $268,549.